Diesel Components Inc.- About Us | Burnsville | Diesel Components Inc. In 1977 Diesel Components, Inc. first opened its doors as a family owned, regional warehouse distributor and authorized repair facility of turbochargers for AireSearch, Garrett Turbo, and Schwitzer to name just a few. It didn’t take long for our company to become recognized and respected as a supplier to the heavy duty on and off highway vehicle and equipment markets in the Minneapolis/St. Paul area. As our reputation for prompt, courteous service and value grew, so did the territory we served. As with any business, growth is a constant driving force. Responding to inquiries and requests from our customers, in addition to turbocharger repair. We added in-house testing and rebuilding capabilities for diesel fuel injectors and pumps. This was done by gaining distribution authorization and repair training from companies like American Bosch, Roosa Master, and Stanadyne. Eventually, Diesel Components, Inc. added more turbocharger and fuel injection brands to the offering. Always willing to provide customers with as much support as possible. The warehouse distributor side of the business began providing additional engine related parts. The result of that growth has made Diesel Components, Inc. a company that for decades is still family owned and providing; equipment, parts, service, and technical support to all of North America and countries around the world. The experience of that diversity has enhanced our knowledge so we have the right parts, and the right people. 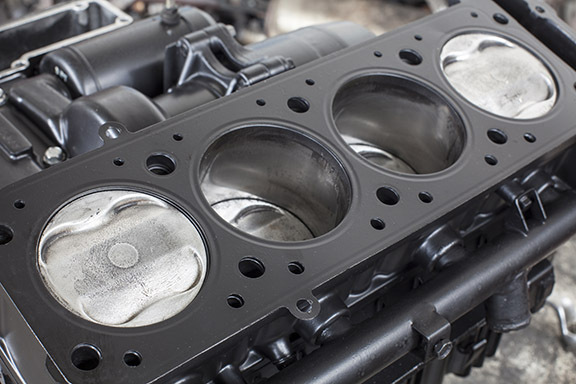 And when combined with our in-house fuel injection testing and rebuilding as well as turbocharger and fan clutch rebuilding capability allows us to take care of your most challenging engine maintenance issues. Our offering includes everything from air conditioning, air filters, fan blades and fan clutches, charge air coolers and radiators, engine kits, engine heating equipment, diesel particulate filters, right down to hose and clamps. Diesel Components, Inc. operates by two simple concepts. We treat our customers in the same manner in which we would want to be treated. We believe in doing every job and filling every order right the first time.